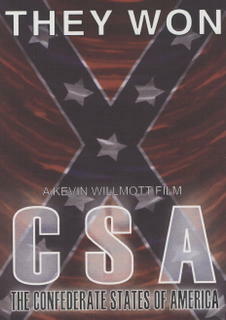 Confederate States of America. And Our Public Schools. So yesterday's U.S. Supreme Court ruling severely limiting "race" as a characteristic in public school integration is kinda whack. I mean, I guess they think "we have overcome" and that we've remedied 400+ years of systemic racism, oppression, and free labor building the U.S. Anyway, all I have to say is that I went to predominantly black public schools in Detroit -- K - 12 -- and it never hurt me. At least I don't think it did. I learned to love being black, loved being in the care of black teachers and administrators who cared about us, and subsequently learned how the "outside world" looks at us who had similar experiences in all black schools. Most of my peers have earned multiple degrees and stellar careers despite being in all-black schools. 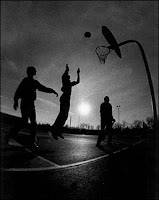 The "outside world" does't get how we succeed even when faced with what they deem are "less than" conditions. 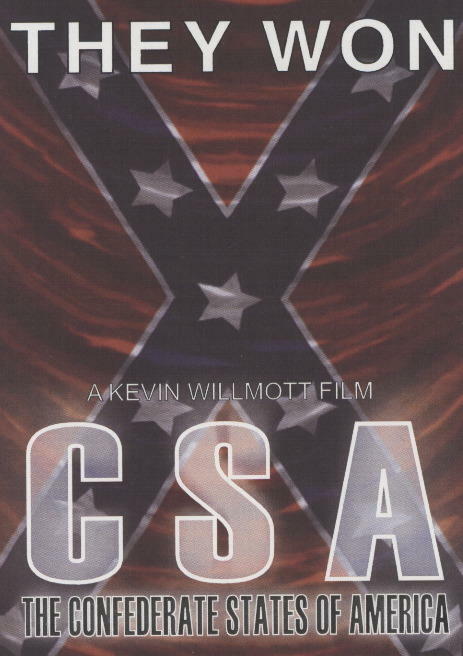 So in light of the direction many would like our country to go (back to), I decided to dig up this entry I wrote a couple years ago regarding the film Confederate States of America. Basically, what if the South had won. Sometimes, it feels like it did. So I went to a screening of this film C.S.A. : Confederate States of America last night. And it was so good. I mean SO GOOD. And I want each of you -- if you work at a school, community center, or civic/social justice organization, or are a part of a black Greek-letter organization, or have any capability of planning events -- to get this film screened at your place or organization. Kevin Willmott, the director and filmmaker, has a Hollywood resume that is chock full o' achievements. He's also an academic. And he wanted to do something different. To help young people, and society in general, understand the full implications of what life in the States would have been like (and is currently like today) if the South had won the Civil War. He used humor to teach. It's done in a mock-umentary style. Complete with "commercial" breaks that reflect how products would be peddled if the South had won. Complete with "news breaks" of modern day slave revolts (i.e. riots in major cities). Complete with a preview of the fall TV lineup's most eagerly awaited show, "Captured," which is a take off on "Cops." Really interesting. Kevin's philosophy with this issue is that you have to teach with laughter and humor and sarcasm, so the film will make you roll on the floor... then you'll stop and think at the same time. And then you stop and think about TODAY, and how much of our internalized racism, internalized hatred, and internalized "issues" in the black community are rooted in the effects of slavery. And the sad part, is that many kids today just think TODAY IS and THEY ARE... with no history or shoulders that made them who they are. Kevin is based in Kansas and is willing to travel and meet with groups to screen the film. He's gotten it into Sundance. Is looking to get distribution so that the film can hit theatres this winter. Currently, it's in the worst theatre in Memphis, he joked. So... if you're in Memphis... go support! And just like I've heard other filmmakers, actors, and writers talk about... Hollywood isn't the place where quality films featuring black and brown faces and themes are welcomed. Really interesting. Oh yeah... and we'd all be living and prospering in Canada. But Aunt Jemina and Uncle Ben would still be part of the present-day culture of the C.S. Gotta see the film to find out why and how. So this weekend (Saturday, June 30, 2007) is the inaugural Leimert Park Village Book Fair, hosted by one of my favorite bookstores, Esowon Books, and sponsored by several other organizations in L.A. I'll be participating on a panel with my friends Jervey Tervalon (Understand This), Mel Donalson (Hip Hop in American Cinema), and Michael Datcher (Raising Fences: A Black Man's Love Story). I think we're on at 2:30 pm, but you can take a look at the event schedule to figure it out. And be sure to listen to L.A. Speaks Out on Saturday morning. It's the Saturday morning talk show hosted by Jacquie Stephens on KJLH (102.3) in L.A. I'll be on a panel of guests on the show talking books, panels, and the significance of the festival. This is pretty significant. Leimert Park is the only predominantly black arts and business district of L.A., which is significant given the demographic changes of L.A. in the past ten years. The area reminds me of a smaller-scale Brooklyn. There are many business types who want to get in and "develop" (i.e. gentrify) the area. They don't necessarily have the best interest of the residents, or particularly the black community at heart. That's another story. So, there should be some major folks at the Leimert Park Book Fair: Hill Harper, Victoria Rowell, Eric Jerome Dickey, among a few. It's amazing how memories just pop up outta nowhere. Sitting here. Sunday. A little reading early morning. A little writing late morning. Now a little internet surfing. But then I heard my next door neighbor's vaccuum start up. And then this childhood memory popped up. Just like that. 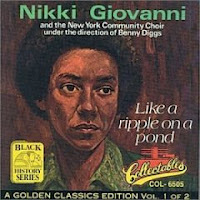 My mom used to play this Nikki Giovanni album, while doing housework, when I was a kid. Like A Ripple On A Pond. Eons ago. I loved listening to it as a kid. I know the album has long since disappeared from the household. But now, excited to find it's kinda available online somewhere to purchase. I guess my mom was lighting the literary flame in me without knowing it. And I guess my neighbor's vaccuuming was a good thing triggering up a long-lost memory. If you're in Southern California, stop by Vroman's Books on Friday, June 22 at 7 pm for a Frenemies book event. Frenemies, a novel, is written by Megan Crane. Never met her, but she's a friend of my friend, author Liza Palmer. So I guess that makes us associates. Hmmm. I've heard some good things about Frenemies. Might end up on the summer pile of books. Sometimes a book can be a better friend than that frenemy in your life. There's nothing like taking vacation time, and not telling anyone you're doing it. Well, I told you all who read this early in the week, but other than that... you get the gist. There's nothing like taking vacation time... and not taking a vacation, too. My "vacations" tend to involve family or work, so that's not much of a vacation. But back to the point. No one's been calling/bugging/visiting/inviting this week when they think I'm at work. I've been spending my "work hours" at the library, coffeehouse, at my friend's store breakroom, York Fashion, anywhere quiet where I can get my writing work done. In fact, I'm out the door in an hour or so. And I tell you this. I haven't been this productive with my writing than when I was secretly writing Down For Whatever several years back. Since Monday, got about 15 pages done. Of course, in a few weeks, I'll discover only 10 are any good. But still... that's progress. I think a "secret" vacation is what everyone needs... for writers, for peace of mind, for whatever you need. I've got one, well several, in my circle who just gotta have a man. I'm sure you do too. And this weekend, I'm sure you will hear them out, or watch them in process, as they do what they do best. The one who's always in pursuit/hunt of a man/"relationship". Endless cycle: pursue/hunt/meet someone new; have the lovely honeymoon phase; in a "relationship" in 6 days; "relationship" conflicts; temporary break up; get back together; break up; new pursuit/hunt of a man/"relationship" begins the hour after the break up. But even while in the "relationship", just never happy and looking for the next best thing to come along. Basically, they're always in love... or pursuing love... and never single. Now, I'm all for loving relationships and dating. I know one of our strong desires as humans is to love and be loved by someone other than ourselves. Not a problem. But I wonder about what's going on in the head of those in our circles, when they're already pursuing options of available men... and the ink hasn't even dried on their current breakup. Or, the one in our circles who is NEVER single. Or, the one in our circle who feels like s/he's nothing without a man, and is on the hunt. Always. It's like it's a personal mission... I just gotta have a man. Or you can call it Brooke Logan Forrester Forrester Forrester Forrester Forrester syndrome. A character from Bold and The Beautiful, nothing else happens in Brooke's life unless it involves a man. One in your circle who's always in love? Or always in pursuit of a man? But bigger than that, how do we help our friends (or nephews and nieces) that there's many important things that make them special other than a new wo/man in their life? 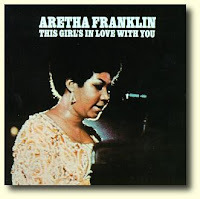 CD image: This Girl's In Love With You by Aretha Franklin. 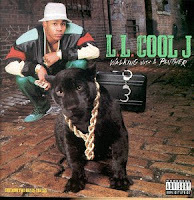 This photo comes from one of LL Cool J's early CDs, Walking With a Panther. Saw a good six or seven young, urban, and trendy lads Tuesday night sporting ropes, as I met up with a good friend who'd been out of the country for a few weeks. We're talking L.A. Maybe ropes have been back in your city for a little longer. The 80s had been teasing to come back for a while. I think that teasing has finally taken hold. One quick side note. I'm glad the Mohawk/Frohawk thing has taken hold, since all the comeback teasing for the past five years or so. But I think the Mohawk/Frohawk thing is a slippery slope into the hairdo most of us think should be banned... the mullet. And so does this writer in the San Francisco Chronicle. 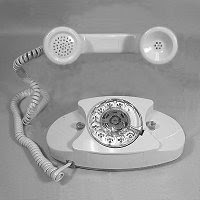 Everything new is everything old. Just re-packaged and re-marketed. First, I started reading this cool new blog, via AVR's site, that I enjoy: Guanabee. Great writing. Great commentary. 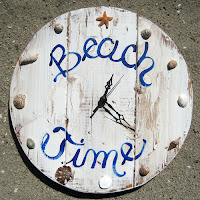 Then, the countown to At The Beach L.A. is upon us. Hope you're coming! Anyway, like many writers, I keep a day job. It's a fun one too. Helping to shape the young minds of the seekers of knowledge and truth at a university. I love it. But the one thing that I tend to neglect is taking real time off. Over the years, I've built up close to a couple months of vacation time. Haven't tended to use it, giving in to the excuse -- if I take the time off, all the original work, plus all that I missed on vacation will be there to catch up on... and catch up is worse than staying on top of it all. This summer, I've decided to change that. In April, I put in my requests for time off for all the dates I want off for the rest of the year. I guess you could say I decided to be proactive about my wellness. And it's cool. This week I'm off. But I'm using it as a "writer's holiday." Using the time I would use at the day job to write, plan for the fall release of my new book, and do all the things that real Desperate Housewive types get to do -- visit coffeeshops and bookstores, wake up without the help of an alarm clock, take my time at the gym, see a matinee if I want, do a solo lunch with a book as my companion. Hope you're able to be proactive with your time off requests. It's important to do. Besides, the work will always be there... and no one at our funerals will laud us for the extra hours we put in on the job. Graduation weekend. Will be outta commission until Monday-ish. So nice to see the graduates enter the world with their new degrees. I hope this is the best summer yet for all of you! I have a feeling it will be. This book, Race Matters by Cornel West, was one of the first I had to read in a grad school course called Social Change and Higher Education. Although in academic circles, we know that the term "race" is not a "real" term that refers to biology or the make-up of a human, we know that racism still exists and therefore "race" matters in society. Most academics use ethnicity, but this isn't about words, terms, or their definitions. Just this week alone, I've had three incidents among my circle of friends and students which illustrate that race still matters. And that although we are in a Post-Civil Rights generation of living, the thoughts and beliefs of Pre-Civil Rights era are still living ghosts in many of our minds. One, a colleague served on jury duty. She's black, educated, and outspoken, and therefore was very surprised to have been selected to serve on a case where there was a black defendant, a male. Quick summary, defendant faced four years in state prison for what many saw as a self-defense behavior -- a retired cop, white, flashed his gun and knife at defendant, who he deemed had been on an arcade game too long. That's not important. But what IS, is that once the jury convened to deliberate, many of the jurors, non-blacks, immediately said defendant was guilty, that he looked like a liar, and there's no way an ex-cop would initiate trouble. This was before deliberating. Nonetheless, my black, educated, outspoken friend held out, and challenged her fellow jurors to look at their assumptions and attitudes on black men in court. That assertiveness kept a black man out of prison for a first offense, one who has NEVER been in trouble. Two, a group of my students, including the infamous 1988 Boys, were called the "N" Word while at a local sit-down chain restaurant in Montebello, CA. They were called this by a group of non-black restaurant patrons, who, upon being seated by my students, told restaurant staff very loudly they didn't want to sit by a bunch of "N's" and that Montebello is their "barrio," that blacks have Compton. My students, who I've taught very well, asked that someone be moved before the other patrons' threatening behavior turned into something bigger. Restaurant management, who happened to be same ethnicity as the "N" word users, refused to move anyone. My students asked for the police to be called in case it turned into something bigger. Restaurant management refused to call police. So my students left. Walked out. We're working on following up now. Finally, this weekend, a bunch of us were out dancing, drinking, dishing, all the normal weekend activity on Saturday. One of my friends, who happens to be of Mexican descent, loves black men. LOVES them. To the point where he's said dating his own people is like dating cousins. Anyway, I know people love who they love, but since my friend loves black men, I decided to ask him what about black mens' history, culture, and life issues does he love. Blank stare. Silence. Crickets. And he said, in a humorous way, "I don't care about their history, I just care about what they do in bed." But you could substitute the ethnicities, change the city, and those beliefs exist anywhere... that the "race" not the substance matters (or is fetished) in these matters. Of course those three incidents aren't the biggest, or the END-ALL-BE-ALL of civil rights violations. However, they are indicative that in 2007, there are still attitudes and beliefs that don't get unlearned, challenged, or talked about. At times, it pains me to hear my students (mostly of color) say racism is not a big problem anymore, that this is L.A. the melting-pot (a term I despise), and that today people are equal in L.A. (Ironically, this week, Jasmyne Cannick blogged about black and brown issues in L.A. and L.A. Times) It pains me to hear my black women students say that black men look past them like they're not viable options to date. It pains me to hear women say there's no need for feminism because women are equal and treated fairly in society. I guess the public schools are doing their jobs if people don't know their history and how far they (haven't) come. And it makes me wonder if we're really moving forward or backward... or if things are good overall, and that there are just a FEW isolated incidents that show that race still matters. I hear many who aspire to write say they don't have time. Sometimes, I say/feel it myself. But I found this wonderful essay by Renee Simms on Tayari Jones blog, about how she finds time to write while raising children, working full-time, and finishing a Master's degree. It's inspiring and a testament to how discipline and dedication can bring you closer to your writing goals. When I was a fresh, young ingenue on the boy scene, one of the elders (probably a college junior to my college freshman status) who took me under his wing gave me this advice: Get the number... and move on. Of course he was speaking to the going out experience. And in a nutshell, he meant... if you're interested (and they're interested) get the number; don't wait around forever playing the eye-game and smiling at each other from across the room all night. Then, when you get the number, he advised, move on. In other words, don't let one person -- especially a new person -- monopolize your night... especially early in the night... and especially since you don't know who/what else might come across your path. So Arena boy on Saturday night... light skin, blue boy scout shirt, a little taller than me, standing outside the upstairs bathroom with your friends. Um. Find me. If you can. What treasures did you find? Or let slip away this weekend? Or... was there someone you saw out, and remembered, but didn't see for the longest time... and then you finally met or got together? So my sister and I have very little in common when it comes to reading and books. She rarely reads, and when she does, it tends to skew toward Christian, inspirational, or business type books. A couple years ago, though, she recommended that I read this mystery she'd just read. Cape Refuge. By Terri Blackstock. My sister said she'd picked it up by accident in a store, started reading it, and then picked up every additional book in the series. Cape Refuge follows the brutal double murder of a couple who runs a boarding house for/refuge place in a small town. Lots of interesting characters. Fast paced. A very good read. And though the novel is often found in the Christian section of bookstores, it doesn't knock you over the head with messages per se. And it's definitely not graphic, in terms of violent imagery -- violence/gore is not my thing in books or movies necessarily. A very good mystery. And a very good read to get into for the summer. It might just keep you up all night, much like it did for my sister and me.